The Irish & Celtic Music Podcast is dedicated to growing our community and helping the incredible artists who so generously share their music. If you find artists you love, buy their albums, shirts, and songbooks, follow them on Spotify, see their shows, subscribe to their mailing lists, and drop them an email to let them know you heard them on the Irish and Celtic Music Podcast. Remember also to Subscribe to the Celtic Music Magazine. Every week, I'll send you a few cool bits of Celtic music news. 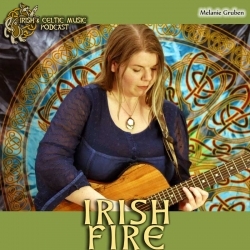 It's a quick and easy way to plug yourself into more great Celtic culture. Plus, you'll get 34 Celtic MP3s for Free, just for signing up today. We have new merch in our store. Get the Sainted Song Henger Collection and you will get our 2019 shirt and 2 pint glasses, plus CDs and stickers. This is a great way to support the podcast especially for those who don't prefer to make a per episode pledge. Plus, you can help promote the show. I want to thank our newest patron of the podcast: Patrick M., Brian C.
Alexander Randall 5th emailed: "Tell your bands that the podcast WORKS! I am buying everything I can find from Talisk, Sliotar and The Flying Toads. I never heard of any of them before the podcast. Now I am on iTunes buying stuff from all three. It works. You are turning people on to bands and we are BUYING. BTW - I listen to the podcast while commuting. I live on an off shore island off St Thomas in the US Virgin Islands and I listen while riding my boat to work... Any other listeners who are listening in a BOAT? sláinte agad-sa !" 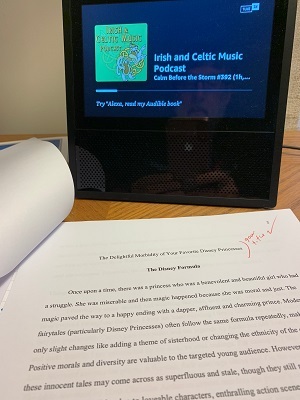 KARL KELLEY emailed a photo: "My students should thank you, listening to this music probably result in a 3 to 5 point increase in their average grade because I’m in a good mood. Hope all is well hope your daughter is getting better"
Travis Senzaki emailed me from his phone: "Hi Marc, Greetings from Akita, Japan! I enjoyed listening to this week's Calm Before the Storm as I was taking advantage of a calm between snowstorms here to take my 3 year-old son skiing for the first time. 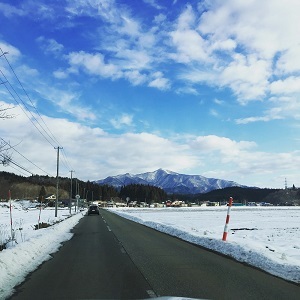 The podcast kept us company through lonely mountain roads and snow-blanketed rice paddies. Here's a picture of the view we enjoyed to go with the music. 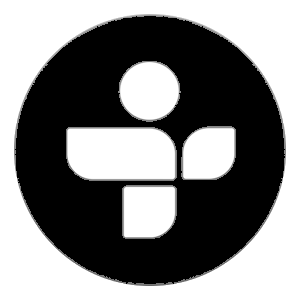 Thanks for all that you do to bring this amazing music to us each week! Slainte"